We are waging a full war upon Zimbabwe regime. Thus by day and by night. Therefore, considering the above mentioned dates, (please read and understand the following). All Police Stations or police properties, in urban or rural areas are to our understanding, have lost purposes and must go up in SMOKE. All road blocks must cease or considered offensive. This follows continuous harassment of civilians, uncontrollable bribing . Therefore all manner of road blocking, even for the purposes of construction. 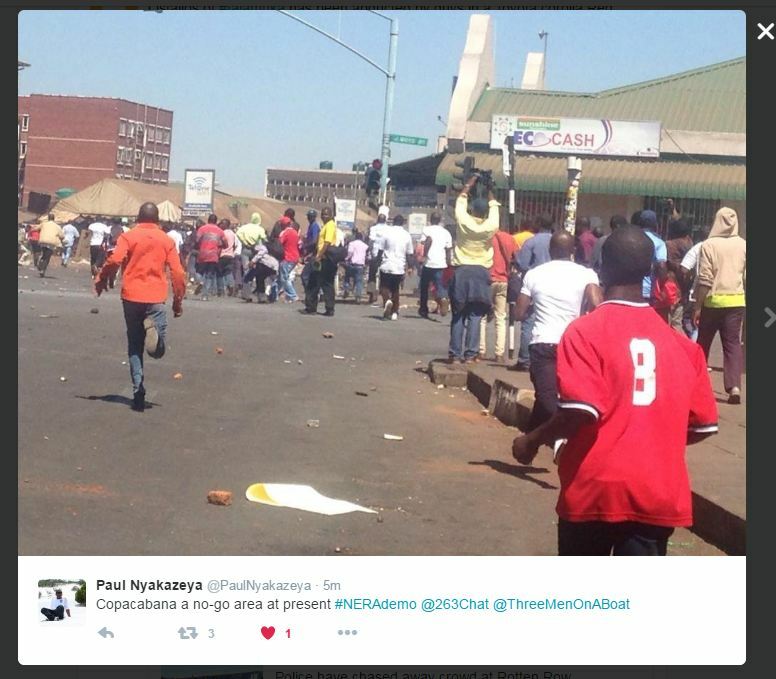 All forms of blocking suspected as road blocks are ear marked to go up in FLAMES. Officers of police posted on duty may do so with the KNOWLEDGE that their blood shall be on the hands of the Mugabe Regime. Therefore all police officers wearing UNIFORMS must consider themselves a perverse organisation of constitutional robbers created to benefit Satanism.As such all police personal are our direct target. All government vehicles, or helicopters marked Police are considered suspicious. They shall blow up in SMOKE. Properties and homes (including farms) of Police bosses are to our understanding products of corruption. They will blow up. The same applies to Soldiers. National Army, Presidential Guard and air force. They are placed under the same condemnation. Members in the Prison service are also in the same condemnation. Including all their properties. We decree and declare that all prisoners in jails must be released immediately without questioning regardless of crimes committed. For they are no worse than Robert Mugabe and Zanu pf. ZIMRA the government authority licensed to rob people crossing on the borders are to suffer grievous consequences. Because of ZIMRA, civilians have lost all they ever worked for outside the country. As the commander of a revolution and candidate for next president. I appoint that ZIMRA must cease by force. Major shops amongst others like SHOPRITE, PICK N PAY, SPAR, TM, BON MARCHE AND OTHER MUSLIMS WHOLESALERS must completely shut down until government change. From AIRLINES will land and take off at their own risk. Especially, Victoria Falls and Harare Airport, businesses people or tourists will continue their journey under high risk. Buses operated by private companies, be it Grey Houd, City to City, Trans Lux amongst other coaches will operate at their own risk. Heavy duty trucking companies are placed under the same conditions. Every system benefiting Zanu pf must come to a dead end. All tollgates must cease to operate unconditionally. They are benefiting Zanu pf only. Government owned transport businesses like ZUPCO are not allowed to be on public roads. AMBULANCES maybe used in disguise. Therefore all medical vehicles are to be blown into SMOKE. THE HERALD PRESS AND ZBC STUDIOS are guilty of casting evil biased statements. These properties will face THUNDERING finish up. 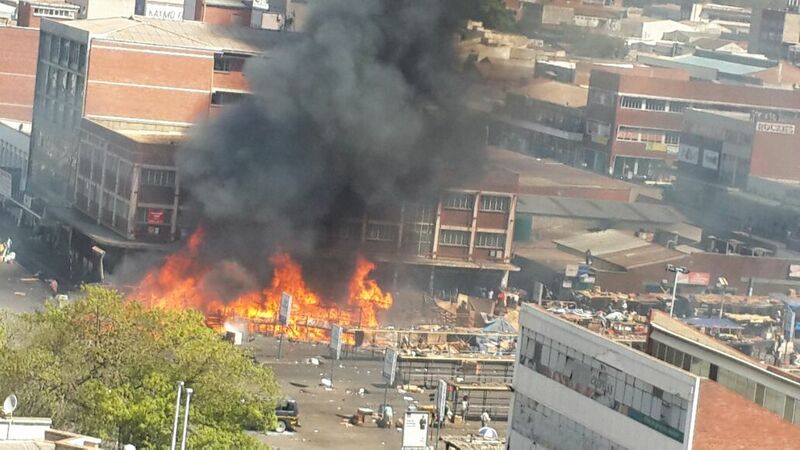 Private Schools, clinics, other institutions and industries owned by ZANU pf members must go up in flames. The Smoke That Thunders is on the ground. Weapons used by Mugabe regime upon civilians or the Smoke That Thunder shall be identified, sampled and investigated. The very citizens of such a nation shall immediately be considered to be holding a conspiracy against the civilian population. As such, they face deportations or death penalty. Lion of Judah, and the most formidable SMOKED and SMOKER generation of THUNDEROUS determined men are here.